Most kids love forts. It's amazing the creativity that comes out when they are given a pile of blankets and free reign over the living room. Mr. K has always loved to spend time in forts - whether it's under a table or he has made a fort with blankets and cushions. Last year his dad bought a small tent, and he spent some time "camping out" in the living room for a few nights. Same thing over March Break - he spent it in our living room. This summer, however, they took it to another level. The tent was set up near the window, and they used blankets and cushions to turn the whole living room into a fort. He was able to sleep in the tent (on an air mattress) and hang out in the fort part during the day. We would read stories, play games, and when his cousin came for a sleep over, they watched a movie in it. He spent the ENTIRE summer with this sleeping arrangement. 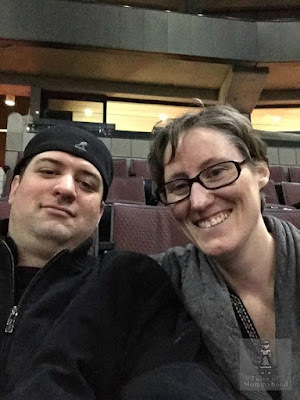 I camped out with him a few times, and it wasn't really my thing, but he sure enjoyed it. What a fun post my grandkids love making forts,well so do i ! Sounds like a great adventure. My kiddos slept in the backyard during the summer between the ages of 5-12; they loved it and only came in if it was too cold. They would include the neighbourhood kids. Fort making is awesome and I'm glad my granddaughter enjoys making forts as well! 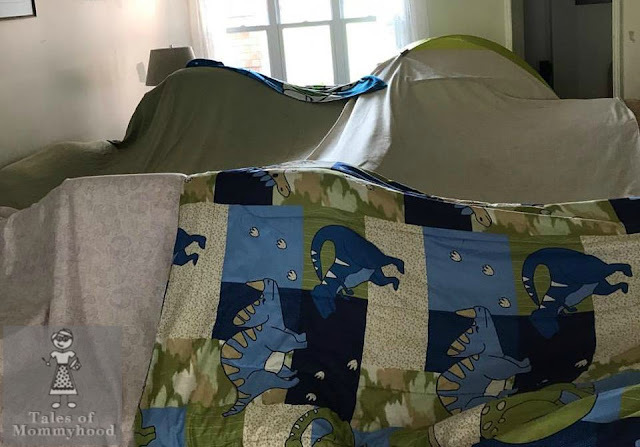 you are one cool mom to have her livingroom a fort for the summer! My kids love building forts too. They usually end up getting the chairs that sit at the breakfast bar, since they are bar stool height. It makes for some entertaining times in the living room, for sure.